Off-the-shoulder bodices, layered skirts, and long sleeves are just a few of the more eye-catching trends in this year’s wedding gown selection. If you’re planning a wedding some time in this coming year, choosing the right bridal gown is one of the most important wedding details you’ll have to attend to. 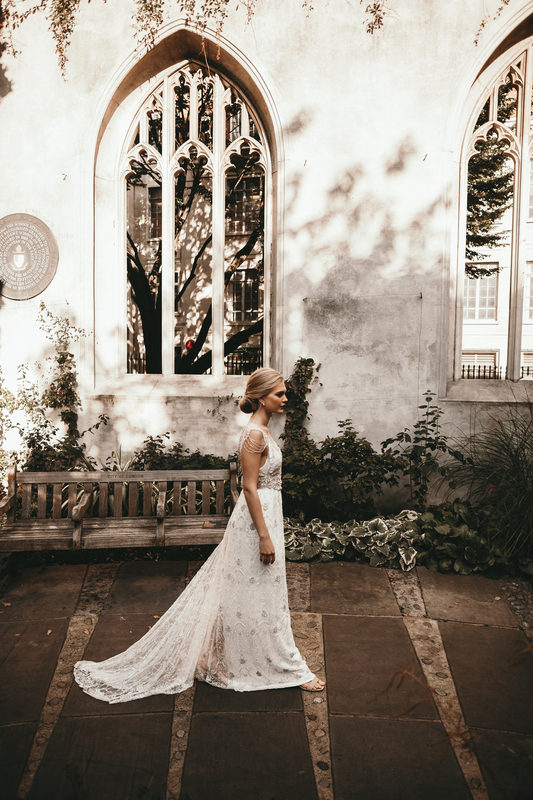 You won’t have to go to a bigger city to search for the bridal gown of your dreams because you’ll find an extensive selection of stylish wedding dresses in Columbus. Bridal consultants see some stunning new trends in wedding gowns for the coming year. Off-the-shoulder dresses are promising to be the next big thing. These dramatic necklines can be accessorized with lace, ruffles, or even feathers. Off-the-shoulder styles come in an assortment of sheaths, including classic princess ballgowns, modest A-line skirts, and sophisticated Bardot frocks. At all the recent designer bridal shows, almost every wedding dress was displayed with both a conventional neckline and an off-the-shoulder neckline. Another popular trend in wedding gowns is tiered skirts. Tiered skirts add a romantic element to simple sheaths. Cascading layers can be showcased as the finishing touch to princess-style ballgowns or as part of a mermaid gown silhouette that hugs the torso and flares out just above the knees. Wedding gowns with tiered skirts are particularly good choices for petite brides or for wives-to-be who would like to add a few curves to their figures. When Catherine Middleton married the future King of England, she chose a gown with long sleeves and lace detailing. That wedding dress is still influencing the choices that this year’s brides are making in their wedding attire. Long sleeves can provide a ballast to more extravagant combinations of bodices and skirts. They can be fashioned from lace, or they can be made from solid lengths of material and embellished with beading, brocade, and other embellishments. Whatever style appeals to you, remember to choose a Columbus wedding dress that suits your personal style and flatters your figure.